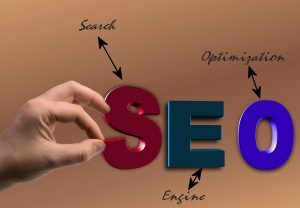 Search engine optimization is a complex and seemingly tedious process that requires webmasters and bloggers alike to be vigilant and consistent. Building a strong web presence can take months – if not years – and is never guaranteed. Search engines are more critical than ever of new blogs, websites and content; with more people than ever before competing for attention via SEO, it is to be expected. Many successful websites have common denominators when it comes to quality SEO attributes. How does your website compare? Today, we’ll walk through a few of these attributes so that you can be sure your website is primed for success. Content is king in SEO, but there is so much more that goes into the overall process. A well-designed layout for each page of your website is crucial in generating optimal SEO results, and for a number of reasons. For starters, user experience matters. Can visitors easily access and see your content without having to scroll for ages? Are menus well-positioned? Are there too many ads and in all the wrong places? Additionally, on-page SEO elements do not work well with a poorly-designed layout. Google and other search engines are pinging your website for dozens of different clues about your pages and content. They like to see that your content is well-positioned, that links are accessible and that mobile users can easily use your site as well. Years ago, content was a relatively minute consideration in search engine algorithms. Today, even abstract elements of content can affect SEO. Content length matters when building quality SEO attributes on your website. Generally speaking, Google gives preference to websites that have quality content that is longer and more detailed. It is important to differentiate between long walls of text and sufficiently-fleshed out content with plenty of details, headings/sub-headings, multimedia and easy-to-read paragraphs. Ideally, each page of standalone text-based content should have anywhere from several hundred to a couple of thousand words. Google has made it clear that content-based quality SEO attributes for a website don’t stop at the meat and potatoes of content: they also extend to helpful or supplementary content. Simply put, these are additional pieces of content, modules, and features that can be done on each page. Some common examples include search functionality, checkout/cart options, wikis, and even newsfeeds showcasing your previous blog posts and recently-added pages. This helpful content can make it easier for visitors to navigate your site, find answers and interact with your brand – search engines that are pinging your website will see this content as an indicator of SEO quality. New websites cannot reasonably be expected to have tons of backlinks all across the web. However, and as time passes, inbound links to your site – as well as links on your website to other, relevant resources – convey to Google and other search engines that your website is a valuable contributor in its community with something to offer. Think about links in the same way that you might envision karma or word-of-mouth: if you’re speaking favourably about people and other people are speaking favourably about you, then most people are going to have a positive impression of you. We don’t have time to list every indicator of SEO quality today, so why not share some other important SEO elements with the community in the comments below? Well written and informative post. My website have huge number of pages but the content length is almost 50 words below in every page. There is no way to improve this content size because it is related to showcase the information. Is that my website is considered as a low quality website in search engines?